Don't leave your pets behind when you travel to West Yellowstone MT. More and more travelers are bringing their pets with them, and many lodging properties recognize this unique niche. 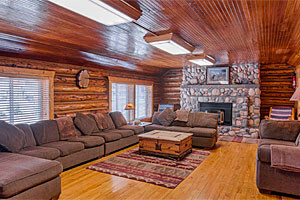 If you're traveling with pets, discover West Yellowstone Montana Pet Friendly Hotels and lodging options here. Ask each lodging property about their pet policy before you book. 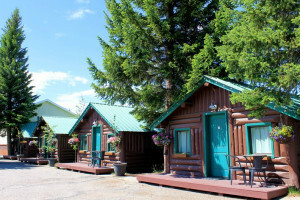 Lots of cabin choices plus large Camp/RV sites, pool, fully-stocked store, bike rentals, breakfasts/BBQ's, group pavilion, mini-golf and much more. 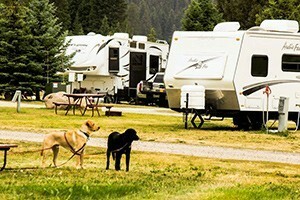 Happy to have your pets as you travel Montana and between our National Parks. 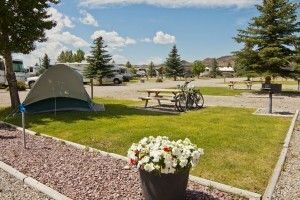 Whether you camp, bring a trailer or RV, you'll lover our location and amenities. Awesome rates. Ask any dog who has stayed with us, they give us 5-stars. 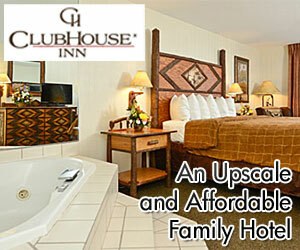 They love the fact that their owners get a great complimentary breakfast, use of pool & jacuzzi, and 3 blocks to YNP. 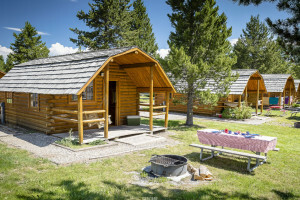 Offering 20 tent sites, more than 175 RV sites w/50-amp power, on-site store and pizza restaurant, wide selection of cabins, pool privileges, and lots more. Featuring upscale in-room furnishings and amenities, enjoy our indoor POOL/Hot Tub, deluxe continental breakfast and lots of extras for pets, kids and parents. We know past guests' pets so well, we recognize their owners as soon as they enter our lobby. Wouldn't it be nice to be treated this well everywhere you go with your pet?